Rachel Sandby-Thomas CB has been appointed as the University of Warwick’s next Registrar following meetings of the University’s Senate and Council held on 26th May 2016. Rachel will join Warwick before the start of the new academic year. Rachel is currently shadow CEO of the Government’s Institute for Apprenticeships and she has held a range of roles in Government service particularly in The Department for Business, Innovation & Skills (BIS) and in the Government Legal Service. 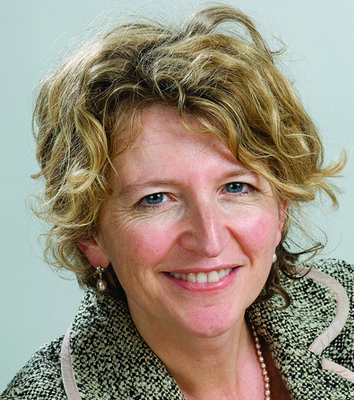 Until recently she has served as the Director General (DG) for Skills, Deregulation and Local Growth, where she was responsible for improving vocational education and skills, including apprenticeships; local growth policy and English devolution; reducing regulatory burdens on business through better regulation; and the provision of high quality legal advice. Prior to that Rachel has held a number of roles in BIS (and its predecessors) including Director General, Enterprise and Skills, and Legal, Director General for Legal, People and Communication, and as Director in the Legal Services Group of the then Department of Trade and Industry. Rachel graduated from St. Catharine’s College, Cambridge with a double first class honours in Law. Her time in Government service began in 1993 when she joined the Government Legal Service from the City, where she worked as a solicitor with Linklaters. She headed up the advisory lawyers team at HM Revenue and Customs, and served as legal adviser to a range of other government organisations including HM Treasury, Cabinet Office, the Attorney General’s Office, and Medicines and Healthcare products Regulatory Agency (MHRA). Rachel was made a Companion of the Order of the Bath in 2012.